StopTech are brake specialists. Since starting in 1999 they have made a name for themselves providing high quality big brake kits and components for street and light track use. 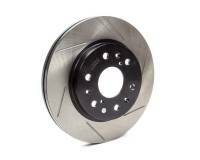 Check out the Recently Listed Disc Brake Rotors. StopTech is the high performance and racing brand from Centric Parts - a leading innovator of world class brake components and systems for production-based race cars and high performance vehicles on the street and track. 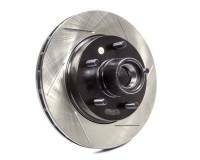 StopTech was the first to offer balanced brake upgrades for production cars and remains the worldwide leader with over 700 platform offerings that dramatically improve overall braking performance. 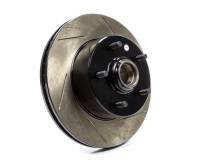 StopTech was founded in 1999 with the singular mission of becoming the leading aftermarket manufacturer and supplier of high performance brake components and systems. 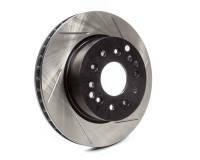 The company founders sought to challenge the status quo in known brake technology, and set new paradigms for brake system upgrades. United by their passion for racing and high performance vehicles, the company quickly earned a reputation for quality and performance both on and off the track. StopTech?s industry-leading technologies and materials - from rock solid calipers to ingeniously efficient heat handling rotors - have earned the company four patents and numerous industry honors over the years. In 2013, StopTech earned full ISO/TS 16949:2009 Quality Management System certification for the design and manufacture of automotive brake systems and components, allowing the company to supply OEM vehicle assembly plants directly in a Tier 1 relationship. 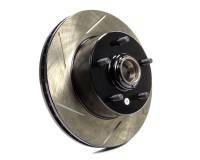 StopTech has been awarded the highly coveted TÜV approval on several big brake kits. StopTech kits successfully passed TÜV?s demanding series of tests that range from performance and durability, to proper fitment and ease of installation. 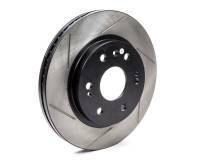 Although TÜV certification is not required in all countries, TÜV approval demonstrates that StopTech?s Balanced Brake Upgrades meet the rigorous standards set by this respected German agency. 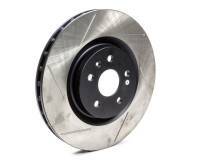 StopTech Big Brake Kits have been awarded a Teilgutachten. The complete kit is certified to run on a particular application, so customers do not need to pay for further testing with the TÜV agency. 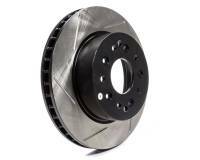 From the patented StopTech® AeroRotors and removable-bridge, differential-bore StopTech calipers to race components, big brake kits, sport rotors, pads, lines and fluid - StopTech has something for every performance need.